Improving Municipal Income by Controlling the Declared Area of the Buildings Connected to the Power-Grid. The recent reforms in the regional government framework in many Countries, through the unification of multiple communities in greater Municipalities and the macroeconomic challenges of the country demanded a tighter fiscal management of municipal financial resources and fair criteria of citizen taxation. The main source of income for the new municipalities is the collection of municipal taxes that are based on the area of each property. Most municipalities insist on charging based on the area of the building as mentioned in the construction permit, despite the fact that the municipal tax should be calculated on the total area of the building that receives power. For example garage space or swimming pools should be counted, although not mentioned in the work permit, resulting in smaller Municipal Tax. 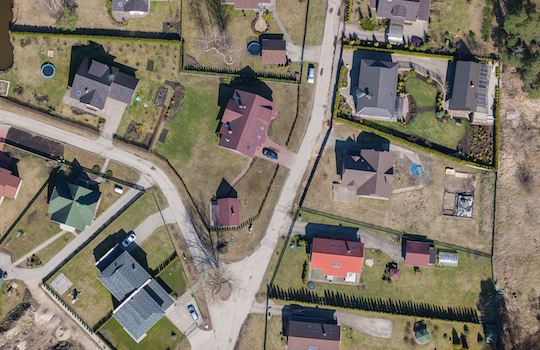 In addition, due to the way the land registry is implemented, it is impossible to predict any building extensions after the connection to the electricity grid, as the owner is not legally obliged to register the additional areas. Significant deviations are also observed, due to illegal extensions and diversions from the approved building permit or the supply of power to service or secondary buildings that are not registered as residential area. Other issues, like buildings registered with zero area, the existence of buildings disconnected form the grid and a large number of tax-exempt buildings complicate the calculations. As an indication for Greece, zero registered areas and exceptions from taxes exceed 20% of the total and illegal construction is about 15% of the total building area. Accounting for these differences could lead to an impressive increase in the municipal tax income (>100%) even if combined with a decrease in the tax rate, resulting in a fair tax distribution according to the actual area usage. Map offers complete solutions for the accurate calculation of the area of buildings concerning the calculation of Municipal Taxes. A significant number of Municipalities that have applied the solutions offered by Map has justified the results and obtained the most modern and updated Mapping Data Base.